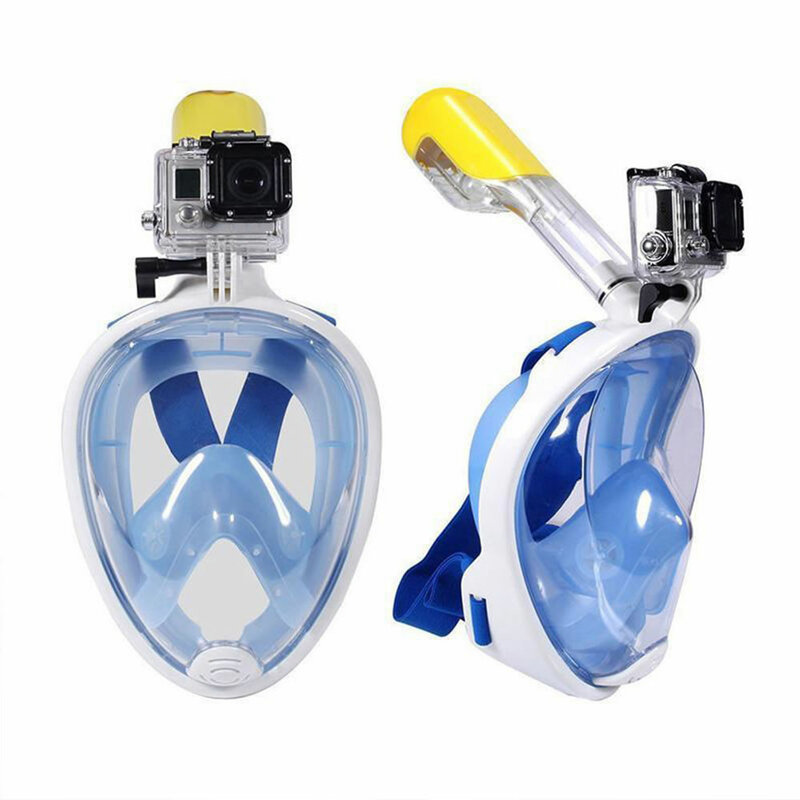 This is the full-face mask with an integrated snorkel and 4K video camera that allows one to explore underwater realms while breathing as naturally as one would on land. The mask covers the entire face, making it easy to breathe comfortably through the nose or mouth without having to bite down on a traditional snorkel’s mouthpiece. 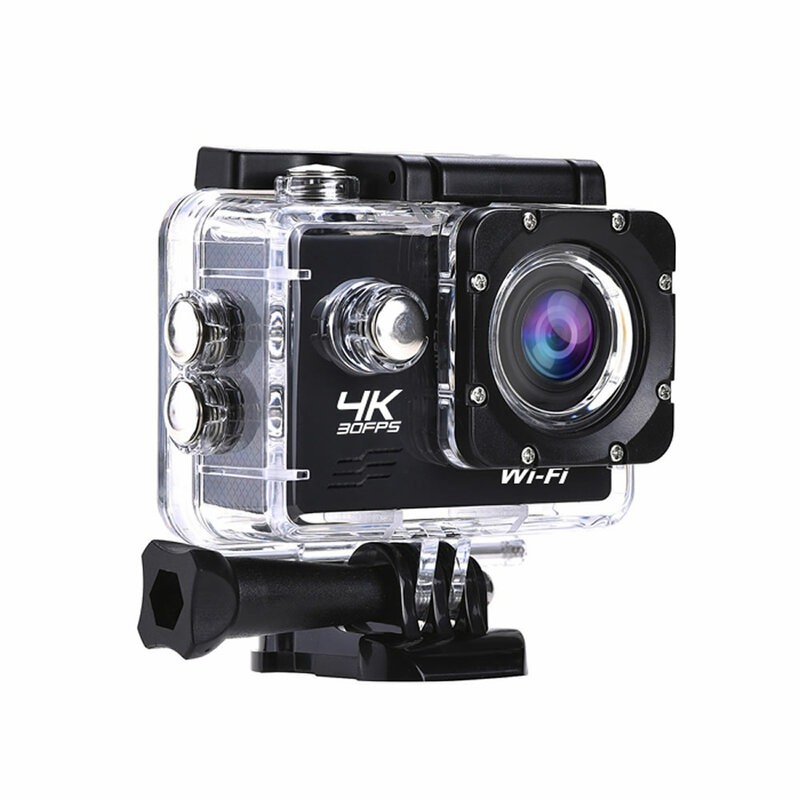 Polycarbonate lens provides 180º view; center-mounted snorkel ball valve and silicon gasket prevents water from entering. 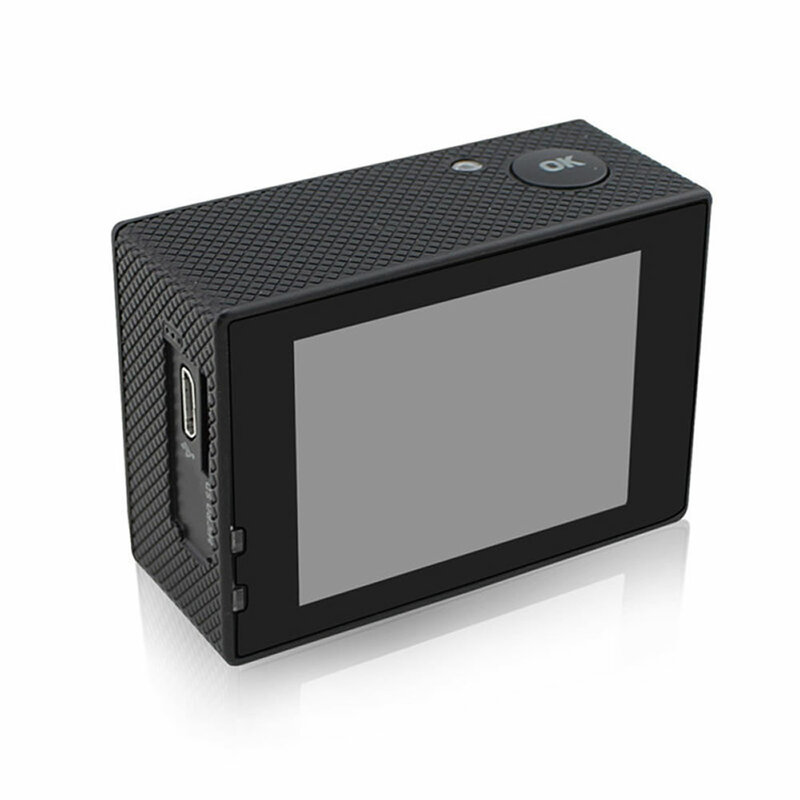 Detachable 4K camera provides 170º view, takes up to 16 MP still images, and captures up to 3840x2160 resolution video at 30 fps, saving footage on the included 32 GB MicroSD card. Size S/M or L/XL. 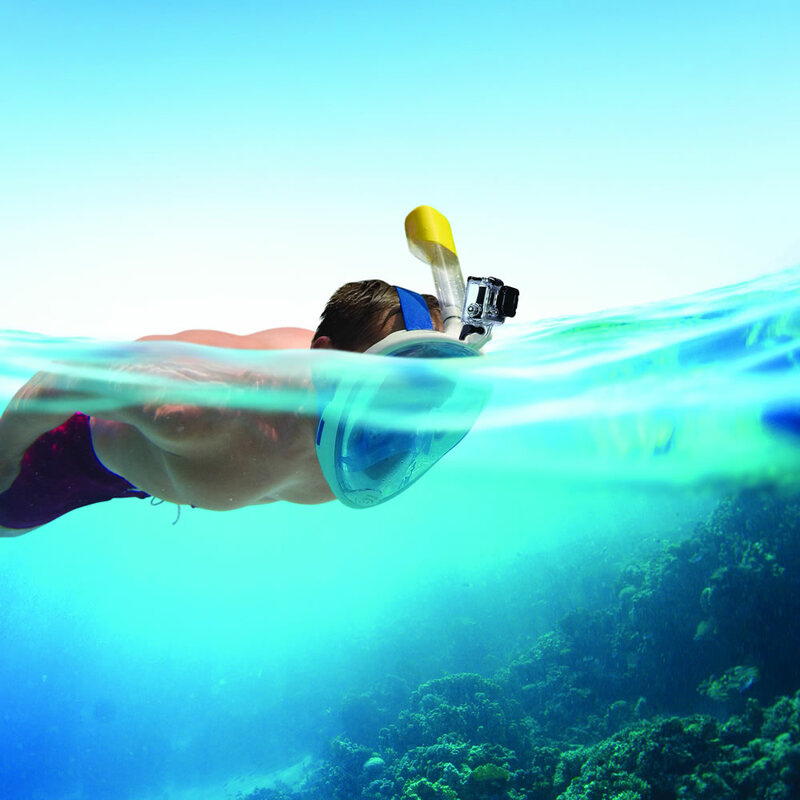 The Video Camera Easy Breathing Snorkel comes with The Hammacher Schlemmer Lifetime Guarantee. Items that we sell are guaranteed for their normal life under standard non-commercial use.